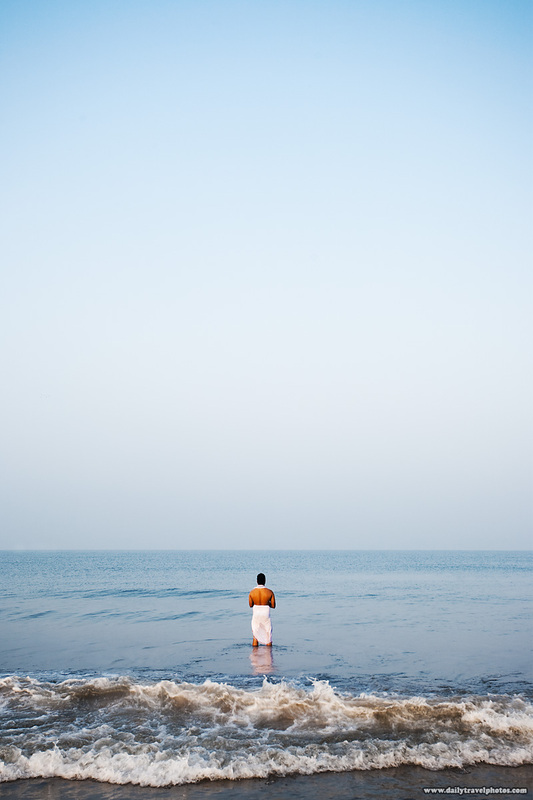 A Hindu man takes a cleansing dip in the Arabian Sea (ARCHIVED PHOTO on the weekends - originally photographed 2009/03/02). The Varanasi of the south, Gokarna is a pilgrimage site for Hindu devotees, many of whom take the dangerous risk of bathing in a sea known to have drowned many previous devotees. 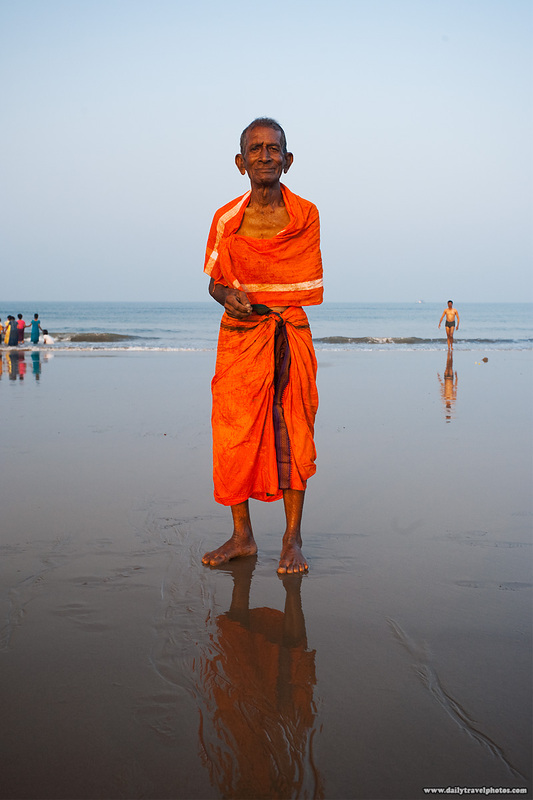 A Hindu man after his cleansing ocean dip (ARCHIVED PHOTO on the weekends - originally photographed 2009/03/02). I love those photo, especially the first one. The simplicity is amazing!